Little Rock One somewhat nagging problem the ACORN Home Savers Campaign has confronted over the last several years, especially when we looked at the frequency of “contracts-for-deed” was the lack of definitive data. Sure, we knew in Detroit that more contracts-for-deed were being registered under real estate transfers in recent years than were any form of traditional mortgages, but such information was local, not uniform, and decidedly not national. For some inexplicable reason during the aftermath of the Great Recession in 2008, the Census Bureau under President Obama dropped the question from the 2010 census creating a black hole on a gnawing problem. We can guess why, but we don’t know definitively. My comrade and friend, the filmmaker Charles Koppelman, joined ACORN’s “volunteer army” when we were hitting the doors in Pittsburgh in the spring of 2017 trying to get to the heart of these issues with the Home Savers Campaign. He had his camera rolling when a local Pittsburgh ANEW member and I were visiting with a woman, as she lay on her couch recovering from back surgery, in her home. At first, she said she didn’t have a contract-for-deed, but the more we talked the clearer in became that she had a 30-year contract with a subsidiary of Harbour Portfolio, that was absolutely a contract-for-deed. The interest rate was 12%. The terms were onerous. The contract was precarious. If she missed a payment, they could take back the house, and she would lose everything. Harbour, a Dallas-based hedge fund, had flaunted the fact that it was using such contracts to flip thousands of properties it had acquired at foreclosed property auctions conducted by Fannie Mae and Freddie Mac. She was ready to organize with the campaign once she got back on her feet. Charles learned more in talking to us about the situation so knew the information gap created by the Census that was preventing a full understanding of how widespread the return of such contracts might be. Charles lives in the Bay Area of California. He sent me a screen shot of something very interesting yesterday. He had received a Census form to fill out in the mail, and darned if it didn’t have a question – once again – asking whether the household was under a contract-for-deed. Voila! Some bureaucrat deep in the bowels of the Census Bureau must have seen the smoke signals about the fact that this often-predatory product is back, and slipped the question back into the queue. It will help, but it’s no panacea of course. The visit in Pittsburgh 18 months ago provides that answer. Too often given the desperation that pushes many families into these kinds of agreements as they search for affordable housing in almost any condition also leaves them uncertain of the details, including what to call the agreements they have signed. The brokers are often very loose lipped in the way they encourage people to see such agreements as mortgages. Others agreements that are only different in degree, like Lease-Purchase-Options, Rent-to-Own, Lease-to-Own, etc, etc, aren’t contracts-for-deed that are now actually monitored by Dodd-Frank but should earn a “check” in that Census box as well. The data won’t be perfect by a long shot, but magically we are somehow back to where we were in 2000 when the numbers were last counted, so on the 2020 Census the inclusion of the contracts-for-deed question is at least something to put in the good news column. New Orleans In the ACORN Home Savers Campaign we’ve learned a lot about the contemporary issues for lower income families struggling with the potentially predatory nature of land contracts as a route to home ownership, but in doing the organizing we have been constantly confronted with the reality that the real trigger for forcing people into these arrangements is the shortage of affordable rental units and the soaring eviction rates. Thanks to a mammoth data project spearheaded by Matthew Desmond, author of the critically important book, Evicted, in 2017, and now a sociologist at Princeton, we now have some snapshots at how broadly distributed this crisis is in various parts of the country. Desmond and his team looked at 83 million property records, and where the data was accessible, they found over 900,000 records of evictions. His book focused on families in Milwaukee. In truth the rates are high in that city and many other urban corridors, but they don’t lead this terrible league. A map in the New York Times demonstrated the horror that lower income tenants are facing particularly in the Southeast and Midwest. The majority of counties in South Carolina were in the highest percentile with Columbia the capital ranking number eight in the top ten cities in the country with the highest rates of eviction at 8.2% and North Charleston, South Carolina claiming the dubious title of number one with a rate that doubled Columbia’s at 16.5%. North Carolina was hardly an improvement with most of its counties in the dark zones as well. Virginia was right there in the bad zone alongside the Carolinas. Greensboro, North Carolina was their only city with over 100,000 population in the top ten at number seven, while Virginia scored across the board with Richmond in the second slot with an 11.4% eviction rate, Hampton in third place at 10.5%, Newport News in fourth with 10.2%, Norfolk in sixth with 8.7%, and Chesapeake in the tenth spot with 7.9%. Add northwestern Alabama counties as well as Mississippi counties south of Memphis, in the Delta, and along the Gulf Coast, and if you’re a lower income tenant you need to leave Dixie behind. Statistics weren’t available, probably because they were either not recorded or not accessible online in Kentucky, Tennessee, Arkansas, Louisiana, and Texas, but looking at the map in Oklahoma, I’d put money on the fact that they would give the rest of the south a hard run in the terrible eviction rate sweepstakes. Tenants shouldn’t move to the Midwest though either. Michigan is part of the new south in this sense and West Virginia and parts of Indiana and Ohio were ugly as well. Warren, Michigan managed to make the top ten list of evictor cities with an 8.1% rate for the ninth spot. Everyone knows that these numbers are an undercount. Tenants falling behind often just move. 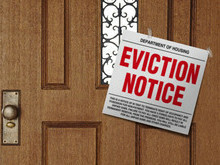 Landlords are able to evict far more tenants without legal action just with a note on the door or a call for the last month’s rent to be paid. 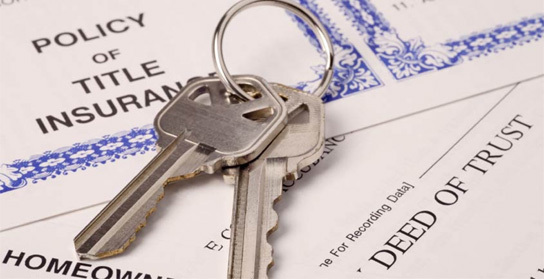 In some states the law encourages court evictions because predatory landlords can lard up fees and fines by using the court as their collector. Federal Reserve studies have indicated that eviction rates in corporate properties put Atlanta in the lead with an eviction rate over 22% and Detroit, Memphis, and similar cities relative pikers in corporate evictions at over 8%. So, the data is now under-girding what organizers find daily on the doors. That’s good news. Whether or not anyone, high or low, is willing to try and do something about supporting lower income families in affordable rental housing either under law or public policy is a longshot though.